Looks like Ready at Dawn Studios have done it again. They’ve only gone and made the best action title on the PSP, again. 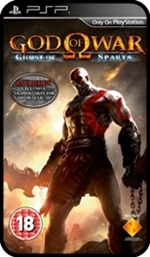 God of War: Chains of Olympus provided a PSP prequel to the original PS2 game and now Ghost of Sparta looks to fill the gap between God of War 1 and 2. The story follows Kratos as he searches for his younger brother, Deimos, who was taken from him when they were both young Spartan children. We finally get some answers about Kratos’ facial scar and his red tattoo. We also get to find out what really happened to the legendary city of Atlantis. To all PSP Minis developers: more simple games like this please. At £1.99 this is ideal for a quick blast. This shoot ‘em up title has you controlling an Apache helicopter for 99 levels of traditional side-scrolling shooting. It’s simple, fun, and it shares a similar art style to the Metal Slug games. What more could you ask for at £1.99? Young Thor is a traditional side-scrolling platformer / beat ‘em up title. It follows the journey of Thor on his way to rescue four maidens from Hel, ruler of the Norse Underworld. Rather than use missiles and the like to defend their city, these citizens have decided it’s easier to fly onto these giant approaching warships and saw parts off them until they crash out of the sky. Bizarre, but brilliant. It’s a bit like an inverted update of the retro game Qix. Deflector is a basically designed yet challenging puzzle game, similar to some mini-games you may have played in bigger titles before. The aim is to deflect a laser beam into a receiver on a complex grid with you looking at it from above. Forget all thoughts of motorbikes and possible cheap Road Rash thrills right now. This is a game that has more in common with the Where’s Waldo books that everyone had in the 1990s, albeit considerably less congested. It’s actually pretty damn good too. After becoming something of a cult classic on the PlayStation Network it was only a matter of time before somebody realised this would work even better on PSP. For those of you who haven’t played the PS3 version this is a tower defence game. You build defence towers out of trees, using a limited supply of money in order to defend your village’s twenty inhabitants from multiple waves of invaders. They’ve done the desert and the tropics so now the MotorStorm tour has decided to cool off and head to the Arctic. There are 100 events to rip through in such frostbitten locations like ice caves, mud bowls, gargantuan bobsleigh tracks (or should that be tubes?) and mountain passes. 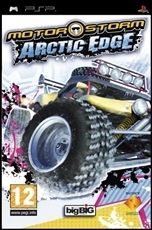 The biggest problem facing the PS3 MotorStorm games is they don’t exactly ease you in gently. And if the general lack of interest for last years rock hard sequel has shown anything, it’s that the series needed to relax a little. Enter your email address to follow this site and receive notifications of new posts. Until Dawn: Rush of Blood Review – All aboard the fright train! Snake Pass Review – Look ma, no hands (or feet)! Should you buy a Nintendo Switch just for Zelda? The Last Guardian Review – An untameable classic?